Last week several colleagues and I spent the day at the Digital Accessibility Centre (DAC). The DAC works with clients to create digital media that’s accessible to all, and meets best practice accessibility standards and legislation. They’re an experienced and passionate group and we were excited to see how they worked and how our pay a DVLA fine service which is launching soon would stack up. The number of users with some kind of access need is significant and growing! Whether this is the 10 million people who are deaf or have some form of hearing loss or the 6.4 million who have dyslexia, it’s clear that to truly design user-centered services, we must consider the varying needs of a diverse range of customers. After meeting Cam, the sales and service development director and several members of the accessibility team - it was clear how eager they were to work with us to make our services accessible for all. The day was very busy and at times we struggled to keep up with the sheer amount of feedback we were getting. 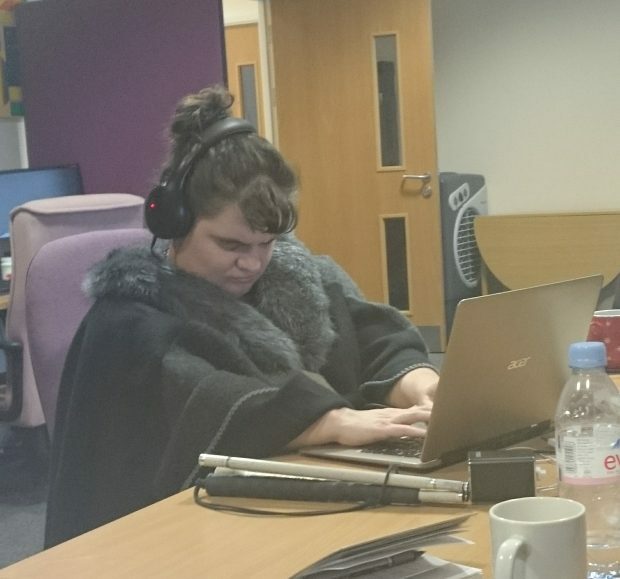 We watched users accessing the service on a variety of devices with a range of accessibility technology on them by members of staff with conditions as diverse as blindness to learning difficulty. For some of our designers in particular, this was a real eye-opener! It showed how a little bit of knowledge and empathy can make a huge difference to their experience. In truth, we were very pleased to see how well the service performed. None of the testers had any major difficulty; we’re now waiting eagerly for the report from DAC. We were able to see users successfully use our service with screen readers, magnifiers, colour saturation for those with severe colour blindness, comprehension for those with a lower reading age or learning difficulties and layout for dyslexic users. There’s a number of areas we know we can improve, including how our customers make a payment. This proved to be difficult for a blind user accessing the service on his iphone. There was also the potential for some content to be missed by users with magnifiers because of the two column format - content to the right hand side could be missed. Overall, it was a fantastic day and all of us, even researchers who had tested with users with accessibility needs in the past, came away with a greater appreciation of the challenges these users have and a determination to do what we can to remove barriers for customers using our services. 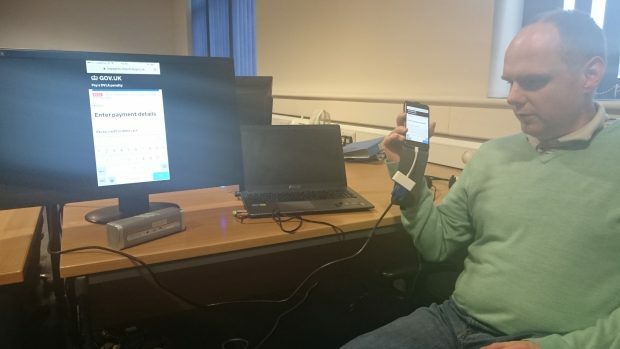 My colleagues, Dan Williamson and Anthony Bamford, have visited a number of local companies providing this type of accessibility testing – they’ll be putting a contract in place so we can carry out these tests for all our digital services in future.